Owning a home is every individual’s wish. And for acquiring it, certain documents are to be perfectly maintained. Here are some of the mandatory documents you have to hold. 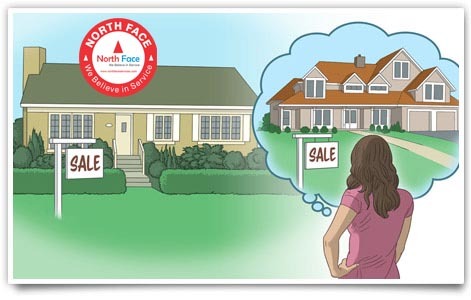 This is the difficult part when buying a house. When it comes to identity proof it can be your passport, PAN card, ration card, driving licence, bank passbook, photograph and an authorized letter from a government official and so on. Address proof should basically contain driving license, voters ID, passport, ration card, bank passbook/bank account statement, insurance scheme receipt, service bill which includes telephone, electricity, gas and a reputed letter from your regional officer validating your house on where it is located. Moreover, one of the most important documents along with this is the income tax proof which has a detailed description stating whether you’re a business person or an employee working for a firm. Evidence of savings in FD, shares or other funds. Your present salary slip or a salary slips which is of consequent 2 months with bank account statement, Form 16, appreciation/ promotion letters, offer letter and a proof of you working in that particular firm and income tax returns for minimum of 3 years. You need to produce your FD receipts and certificates, shares and other assets etc. Further, you need to cater with the details that is backing your financial contextual. 7/12 extract from the respective officials providing precise details about the survey numbers of your land and date from which it has been registered to the particular individual and etc. A permission for the property is to be obtained from the district collector, if it is a cultivating land which is to be used for building residential/ commercial or industrial purpose. Certificate for search report and title of the project is to be acquired from the legal adviser who will review the title by consulting with the office of the land registrar. This is a mandatory procedure in order to avoid any issues in the future for sale. This entry was posted in News and tagged Property Management Hyderabad on May 2, 2016 by Venkat Chunduru.